We publish a detailed and informative newsletter every quarter. On this page you can find the most recent newsletters. They can be viewed and downloaded by clicking the appropriate button. The latest newsletter, and some of its contents can be seen to the left. 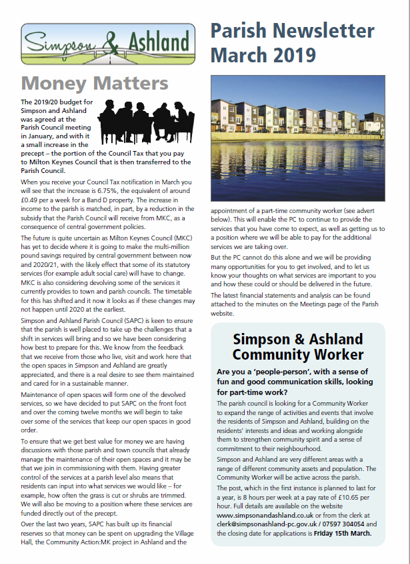 Click on the image to see a copy of the full newsletter. If you need copies of older newsletters, please contact the Parish Clerk (see below for contact details).